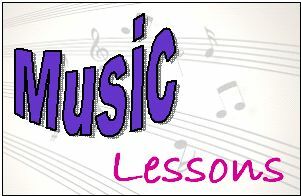 It’s time for another edition of Music Lessons. Today, we’re going to talk about a song we’re sure you know. You’ve probably sung along to it. It’s a fun song. But it makes a serious point. Listen to this post! 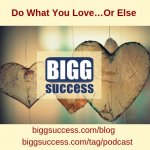 Click a player to hear George & Mary-Lynn on The Bigg Success Show Podcast! The song is Life’s Been Good by Joe Walsh of The Eagles. Imagine owning a mansion. But along with that mansion, you have so much money that its price was completely insignificant. That’s kind of fun. But then the conspicuous consumption kicks in. You’ve never even seen this mansion. Other people tell you how nice it is. Imagine owning a Maserati. You know – a super hot, super fast sports car. It would be nice. Unless you can’t drive it because you’ve lost your license. Imagine being driven around all the time in a BIGG limo. Wouldn’t that be cool? It would. But not if you have to lock the doors because you may be attacked by a mob of fans. Yeah, but imagine those fans writing you letters all the time. Imagine constantly being told how great you are. More loneliness in fact than you’ve ever felt before. You may drown it in alcohol or drugs or some other vice. You may come to believe that everybody else has changed. You may realize that you have too many adoring fans but too few admirable friends. People who love you for you. And that’s it. Because that’s enough. BIGG success is life on your own terms. For some people, that means fame and fortune. There’s nothing wrong with that. As long as you’re prepared for it. But BIGG success comes from serving others. As the entrepreneur of your life, you create value for yourself by adding value in the lives of other people. And it’s not about fame and fortune. Those may come. If you’re grounded properly, you’ll be able to handle it. If not, you’ll be like the subject of this song. You’ll keep on going – keep trying to gain more fame and more fortune. More, more, more. You won’t know why. But you will feel empty. There’s little fulfillment in fame and fortune for fame and fortune’s sake. That’s why many people choose to build a fortune without the fame. They’re the millionaire next door. Fame without the fortune can be especially brutal. Few people can successfully navigate those rough waters. So how can you prepare yourself for fame and fortune? Focus first on friendship and fellowship. Let fame and fortune follow.